Becky “Bex” Damman runs Elk River Guest Ranch, a 38-acre oasis for city slickers in search of Western traditions and glorious mountain views. Photo courtesy of Bex Damman. Becky “Bex” Damman is up with the sun. You’ll never catch sight of the steady wrangler and owner of northern Colorado’s Elk River Guest Ranch without leather chinks and boots. Before she steps into the crisp mountain air to set fence posts or lift a manure fork, she starts her day with two eggs over medium, plus sausage or bacon, toast, and a cup of coffee next to the wood-burning stove. As a rancher, “you feel full of adventure. The most gratifying part is connecting and sharing those exhilarating moments of exploration with people,” says the Tennessee native with a still-intact smooth Southern drawl. 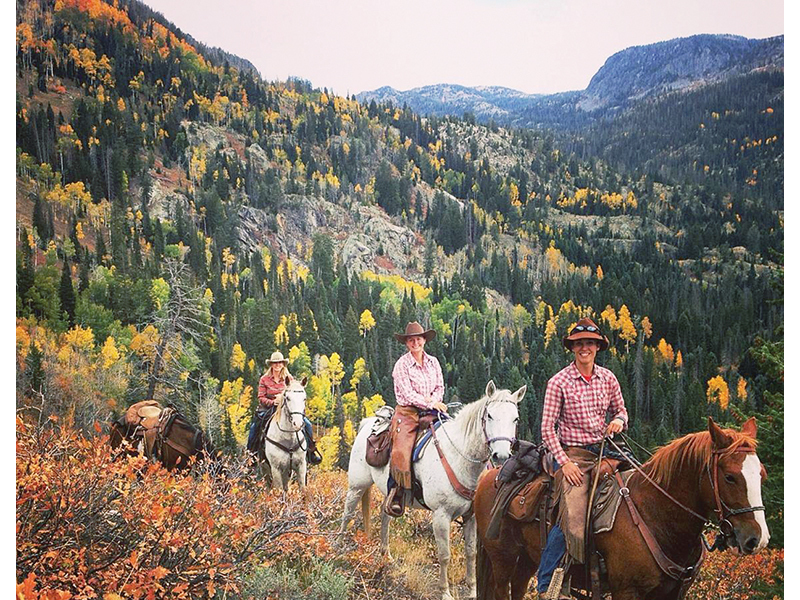 Daydreams about being a ranch hand in the Rockies first entered her mind at age 8, when her family first visited Powderhorn Guest Ranch outside of Gunnison, Colorado. Four years passed, they returned and she was hooked. After her freshman year at college, Damman returned to Powderhorn — this time as a wrangler. Over the next decade, she would sharpen her skills while working at Rainbow Trout Ranch and then lease Tarryall River Ranch to test the management waters before “putting skin in the game” as an owner. 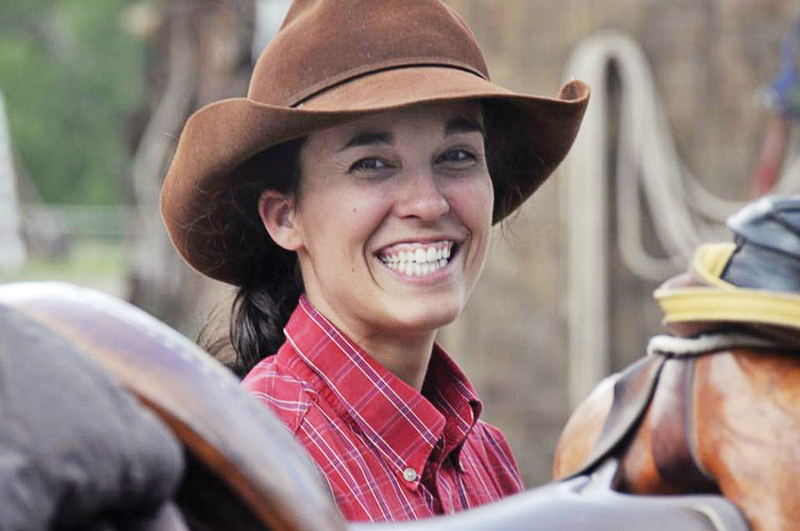 Two years flew by, and at 26 years old, she bought Elk River in 2014, becoming the youngest person ever to own a Western dude ranch. Elk River has been an oasis for Damman, who fell in love with the purple larkspur wildflowers, the vast aspen groves to the south and the charmingly decrepit state of the 1902 homestead when she first visited. “The ranch was perfect, because it was a place that could be shown a lot of love. I’m a taskmaster and live to work with my hands,” Damman says.